Tell us about the origins of Polytra. When did the company start its business and what’s been its focus in logistics since its inception? I understand that you are part of the Fracht Group, so could you please elaborate on that overall? Polytra NV was founded in 1974 by Maurice Velge as a spin-off of the 150-year-old shipping agent, Grisar & Velge. Since its inception, we have been focusing on three important departments of expertise: Project logistics, Africa logistics and integrated solutions (such as 4PL and freight management). After more than forty-five years, we went looking for a player that would be able to offer us a continuously prosperous future. We wanted someone with a name and reputation worthy of Polytra that would allow us to continue our growth and develop our global footprint with the same values for our own people and our clients. Polytra found these qualities in the reputable Swiss freight forwarder, Fracht AG, and sold the company in 2018. At present Polytra can proudly state that we are part of a family that is able to offer tailor-made logistics services everywhere on the globe with our own offices and with 1600 experts working in 125 offices worldwide. We distinguish ourselves with our proven and rewarded professionalism, our passion, our commitment and last but certainly not least, the quality of our staff. To be able to do their job well, they have to be experts, leaders and entrepreneurs, all at the same time. Polytra has a well-established name in Africa. Could you outline for us your current organisation on the African continent? Where do you have your own offices, where do you currently see the most development on the continent and what are your future plans? Africa has always been one of Polytra’s most important divisions. We have been importing and exporting cargo to and from the African continent since 1974. We started in the Katanga region in the Democratic Republic of the Congo (DRC) back in the day, transporting large consignments of goods. Over the years, we gradually expanded these operations to our current presence in Africa. At present we can proudly say that we are in the top three clearing and freight forwarding agencies in every country where we are active. For over forty years we’ve had offices in the DRC, Tanzania, Zambia, South Africa and from 2018 we’ve added the Ivory Coast, Senegal, Burkina Faso, Cameroon and Mauritius. This gives us a very strong presence across the African continent and enables us to provide logistics solutions throughout. Our teams consist of a healthy combination of expats and dedicated locals who are familiar with local regulations and customs and maintain good contacts with the local authorities. We are one of the few players that offer both in-house clearing as well as freight forwarding solutions with guaranteed European standards. We know the market like no other and are thus able to offer the most effective and cost-efficient logistics solutions. For Polytra, Fracht Africa is the future. We believe in this massive emerging region and that is why we have positioned ourselves as the leading partner in Africa. Moreover, our clients push us to continue developing our activities as a reliable partner in Africa as more and more large players (in project EPC, power projects, mining projects, infrastructural projects and trading) are finding their way to Africa and realizing the importance of this continent for future developments. 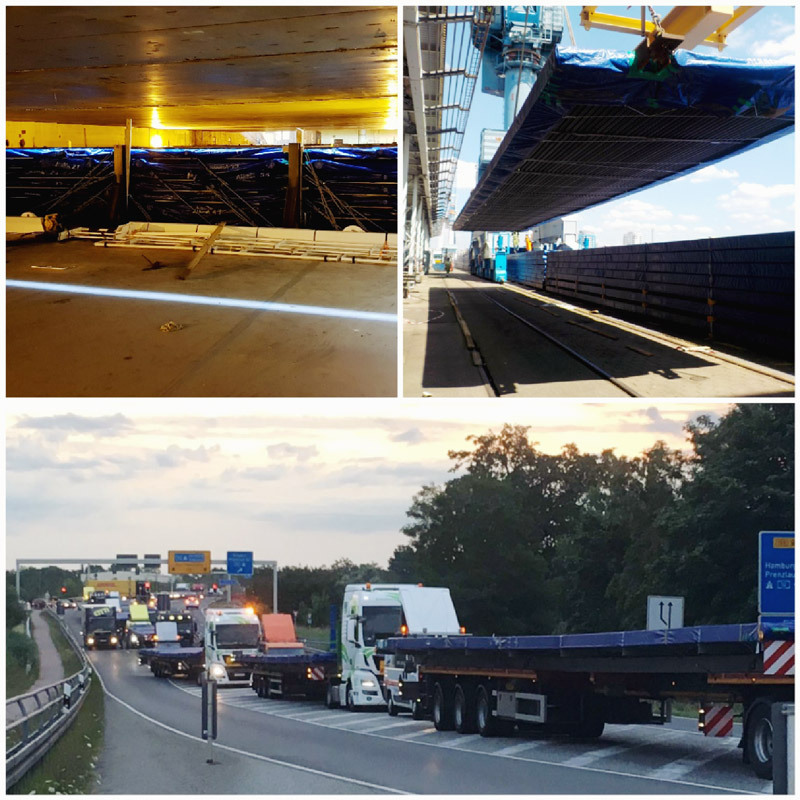 You are used to handle project cargo and, with this in mind, could you provide us with a few examples of cargo that you have handled recently? For example, to and from Africa? Many of our shipments go to countries that are not easy destinations on the socio-economical side of things. This is particularly true in Africa, where the lack of infrastructure and poor energy supply require creative solutions. In some other countries, the problems you face have to do with entirely different ways of conducting business. That’s when our experience in difficult areas comes in handy. First you have to explore the terrain to understand the situation properly, from the harbour to the customs offices and the situation at the final site. This sometimes takes some hard work, but these challenges are what makes this work so much fun. Our customers trust that we will be able to carry out their project in good order, on time and within budget. In the end, we always complete every project to everyone’s satisfaction. 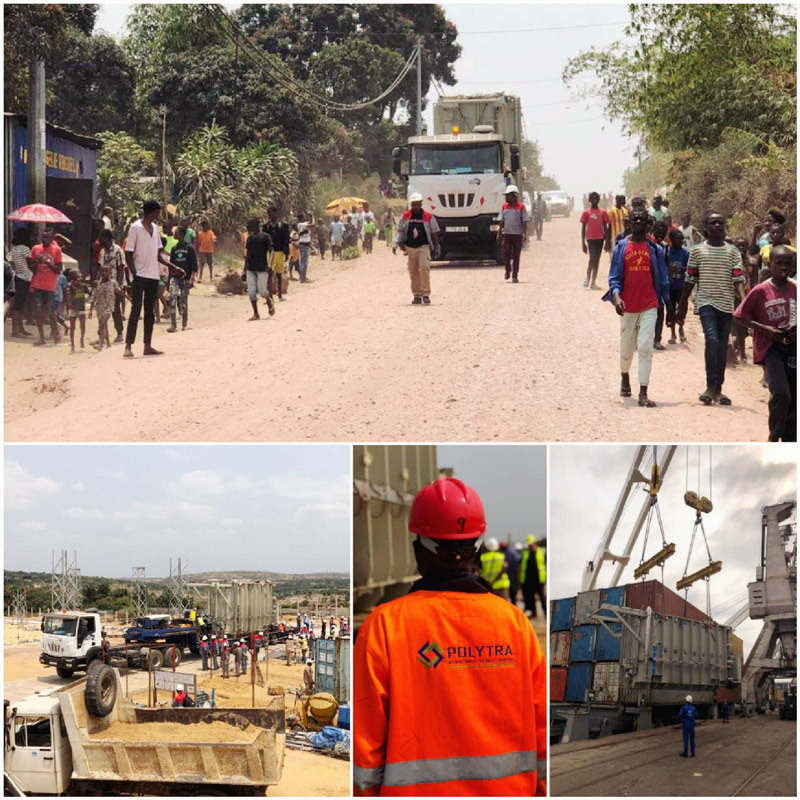 We recently moved a completed cement plant to the middle of the DRC (door to door – a one stop shop solution). 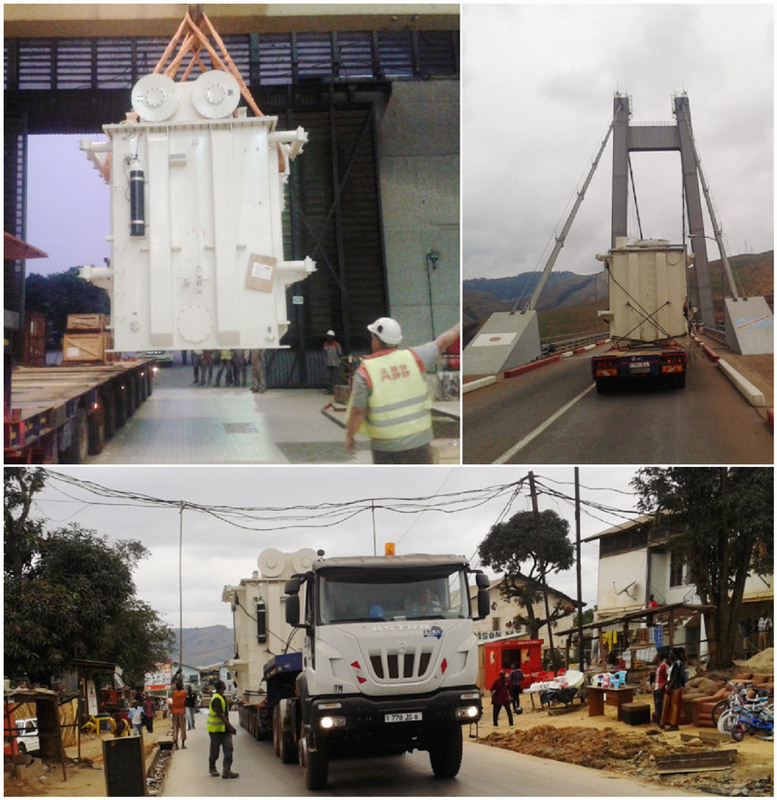 We were rewarded with the transport of eight very delicate transformers to the INGA dam. 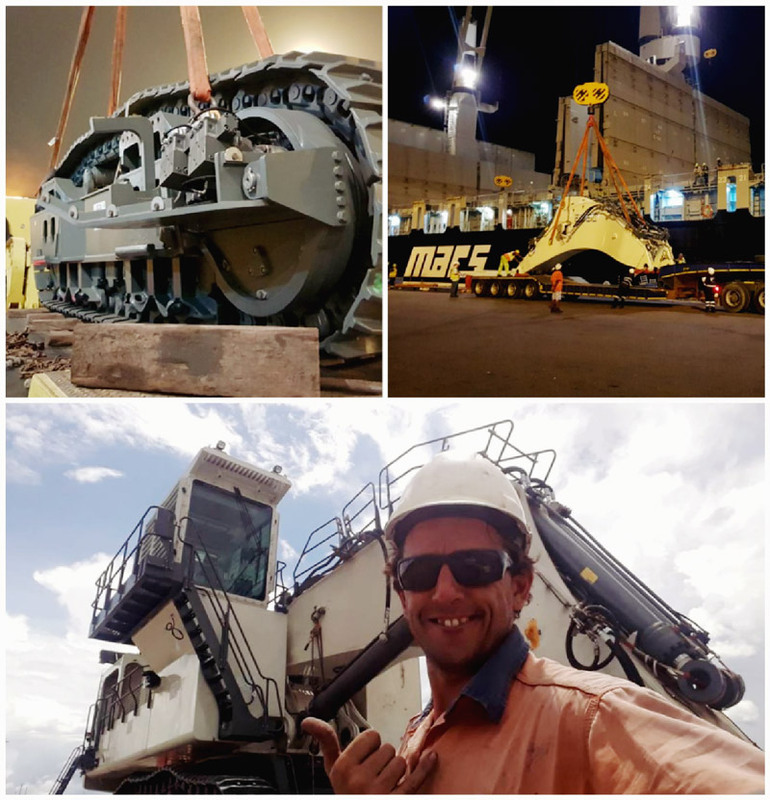 We have been moving six massive excavators to remote mines in Zambia. 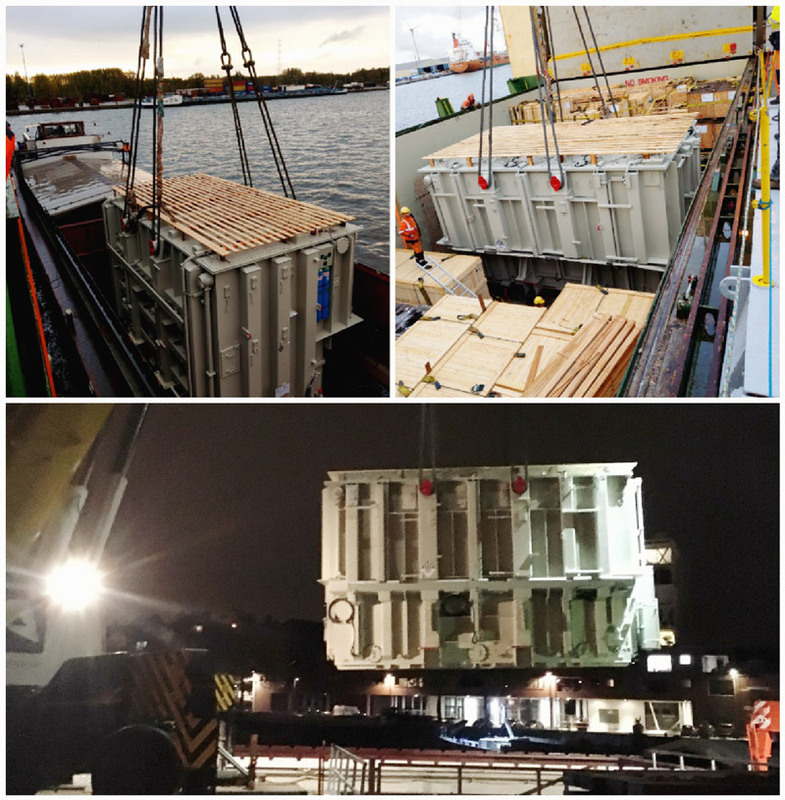 We have chartered a vessel to transport mining chemical resupplies to large mines in Africa. We have transported a complete solar plant to very remote areas on the border between the DRC and Tanzania, for which we had to charter several small Antonov aeroplanes. Could you tell us about some of the problems that you regularly encounter when doing African trade? We are proud to state that we are working on delivering European standards in Africa. Nevertheless, poor infrastructure, continuously changing regulations, political instability and the lack of rule of law are continuous challenges that we need to deal with. Corruption still exists and is negative for everybody in the long term. For us, this is because it creates unfair competition as well as for the countries where it happens as it only benefits the few, while the rest of the country doesn’t benefit from it. We are very strict and clear on this point and we will never engage in any such activities. Compliance is, for us, key, everywhere in the world and especially in Africa. Do you currently belong to any freight forwarding networks? If so, do you find it useful to be part of a network nowadays, given the larger size of Polytra as part of Fracht Group? Networks, of course, remain very useful and we continue to support them. We are present globally, but the future of logistics remains in partnerships. Partnerships with your clients and with your suppliers and even with your competitors. When did you start your own career in shipping and logistics and what made you choose this kind of career? What do you like about it? I started my career, quite atypically, as an intelligence officer in the Belgian military, where I had the opportunity to visit remote and complicated areas such as Afghanistan and the DRC. Logistics was key for the success of every operation and also a main concern for us as intelligence officers. After my MBA in 2010, followed by an executive master’s in supply chain management, I decided to enter the logistics world and, strong with my military experience, I wanted to do logistics in a challenging environment. As such, I worked more than five years in several places in Africa for large trading groups such as Louis Dreyfus Commodities and Trafigura. 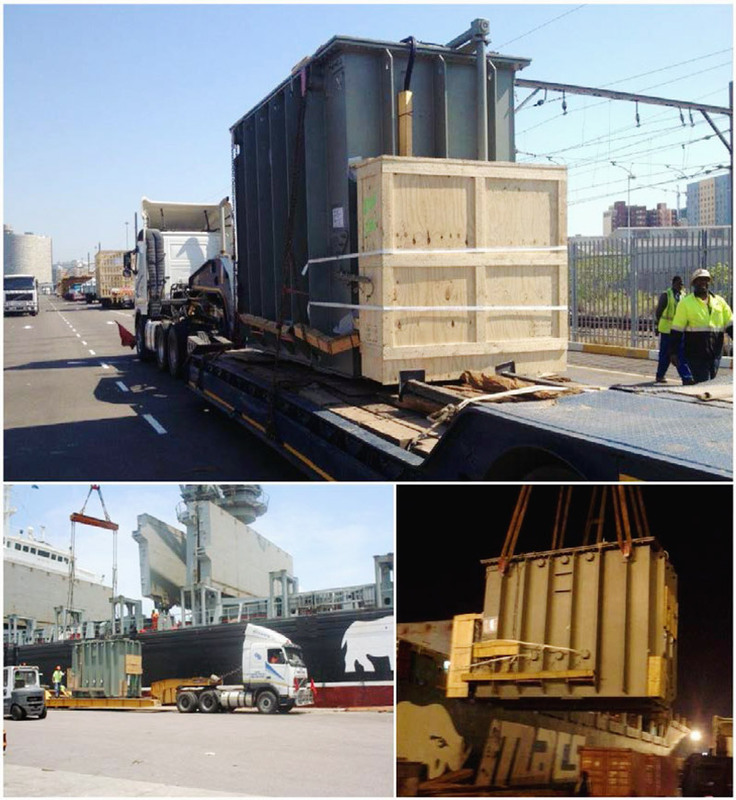 There I was tasked with organising the transport of bulk, break bulk and containerised cargo from the most remote areas, to several ports in Africa. The step to a group such as Polytra- Fracht was logical as there are not so many respected and trustworthy companies offering this kind of service and these kinds of professional challenges and opportunities. Logistics is fascinating as it is in constant motion and evolution. Progress never stops and new ideas are disrupting old business models all the time. Logistics is extremely close to macro-economic evolutions and both are the center of every operation, now more than ever before. Moreover, worldwide logistics is finally getting the place it deserves and it is no longer considered a pure cost center but a real differentiator. How do you envision the future of shipping and logistics now that there are rumblings from several big ship owners wanting to be end-to-end forwarders too? The end of the forwarder has been discussed for more than ten years now, but I still see a lot of fast-growing forwarders worldwide. Of course, we as forwarders need to remain agile and adapt ourselves. Although the core needs of most customers have changed very little, customer expectations are increasing greatly. There is no doubt that the success of a freight forwarder will not merely be decided by the size of the company, but much more by their ability and speed in adapting to the new demands and expectations of their clients and the market. In this new world, it is not the big fish that eats the small fish, it’s the fast fish that eats the slow fish. I strongly believe that people pay for service, knowledge, expertise and surety, especially in this fast-changing world that disrupts our clients’ business models all the time. 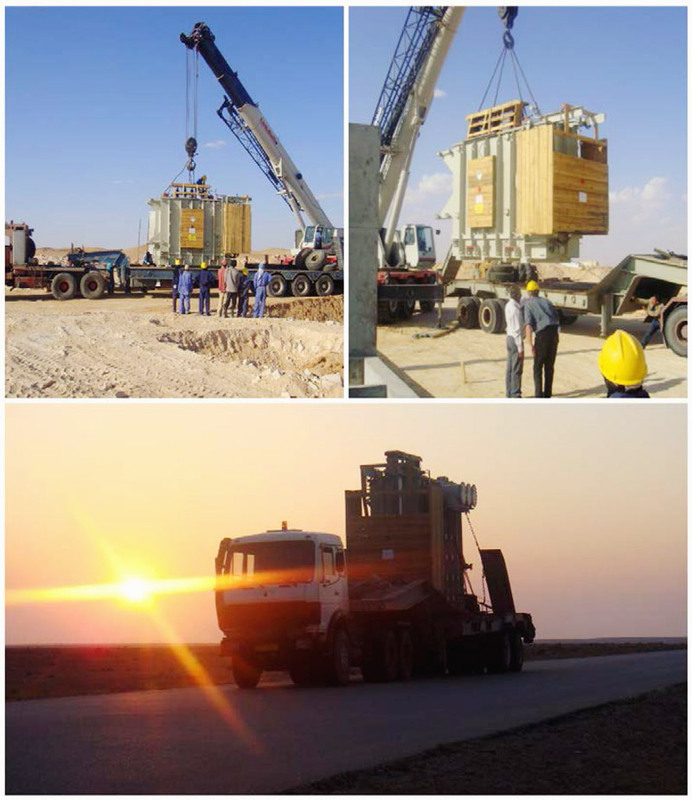 A strong and mobile logistics partner can make all the difference, especially in areas such as Africa and especially for project cargo. For the more widely available products, the added value lies in the visibility and predictability and this is precisely what we offer with our 4PL control tower tool.